Nothing prepared us for what we saw after driving 9km through dense forest on a narrow concrete road. Duga 3, a radar system that warned the Soviet Union from missile attacks. 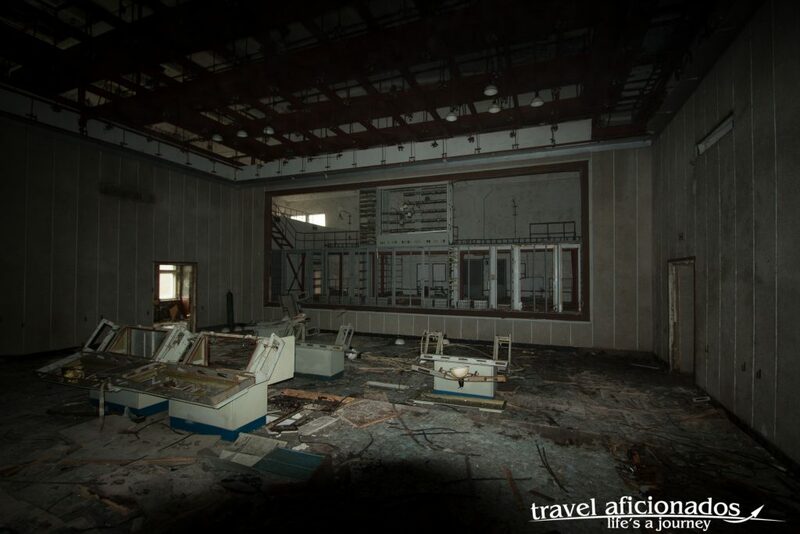 Now abandoned like Prypyat, it evokes similar spooky feelings. 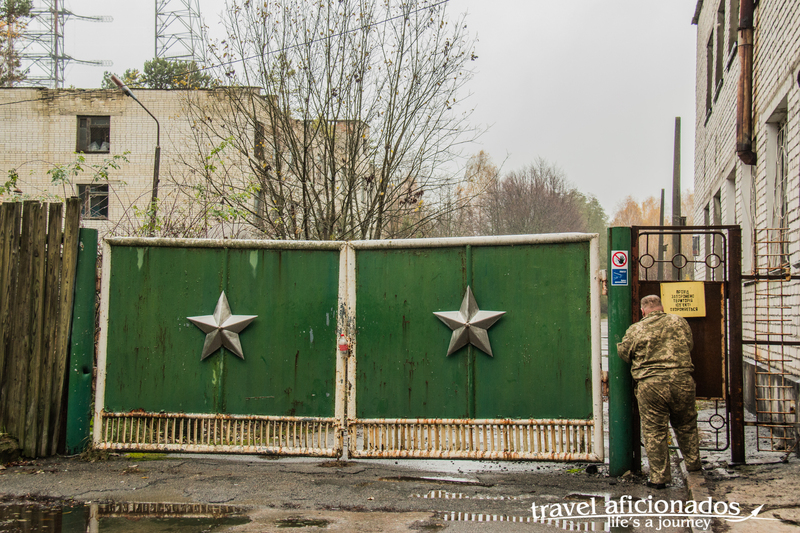 Our small group arrived towards sunset, a bored soldier opened the rusty gate and we walked past abandoned buildings and overgrown terrain.Eventually a longish building appeared and from behind it peeked antennae. And there is was this super long construction of metal pillars, despite its seize I was not able to grasp its importance. 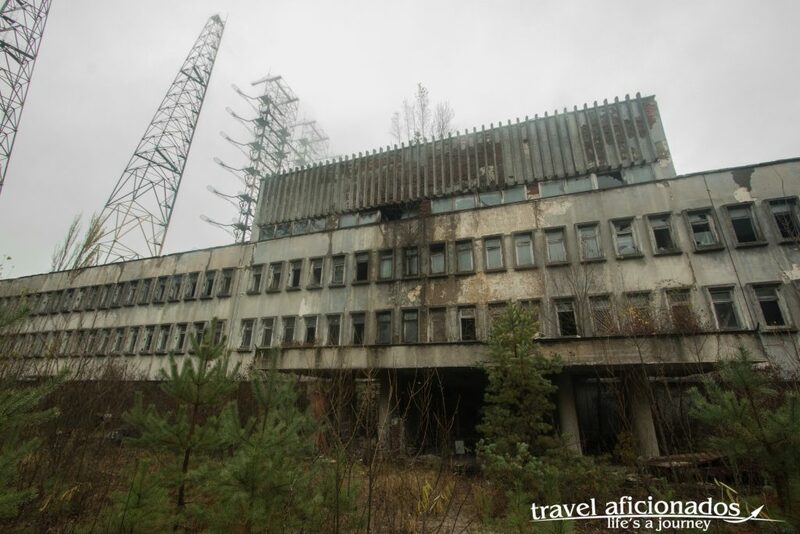 Duga 3 (two other dugas existed) was built near Pryprit because it needed so much electricity. The construction went up at the same time as the reactor. Between 1976 and 1989 it sent signals into the ionosphere 8000km above to check for holes that could have only been created by hostile missiles penetrating it. Since the 90s satellites are doing the job. Not even my super wide lens was able to take photos of the entire metal construction that once warned the Soviet Union from missile attacks. An aerial view is the only way to get a complete picture of this maze of antennae and platforms, especially nowadays with trees and all kinds of vegetations creeping close and closer. 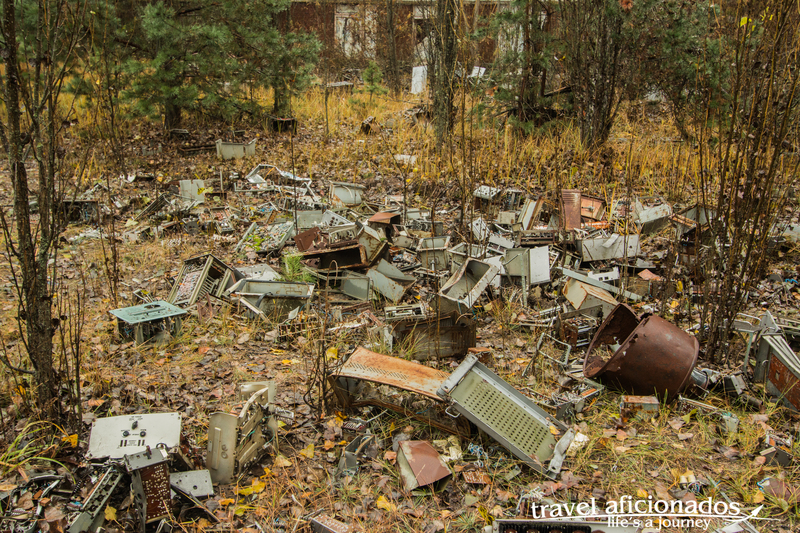 It was so secret that on Soviet maps it was marked as a summer camp for children. This description was not outright wrong, because the staff who lived there had every comfort the SU could offer, similar to the living standards in Pryprit. But since the place did not officially exist, the residents were registered in Chernobyl, . 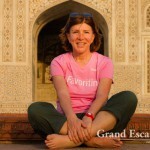 I have no clue how long the long building was that we explored or whether it was one of several that are connected. With the sun setting it was super spooky wandering inside these halls so long you could not see the end. Electricity cables were dangling from the ceiling and touching my face, some huge hole in the floor had to be avoided and the ceiling seemed dangerously fragile. All we had we our mobile phone flashlight. 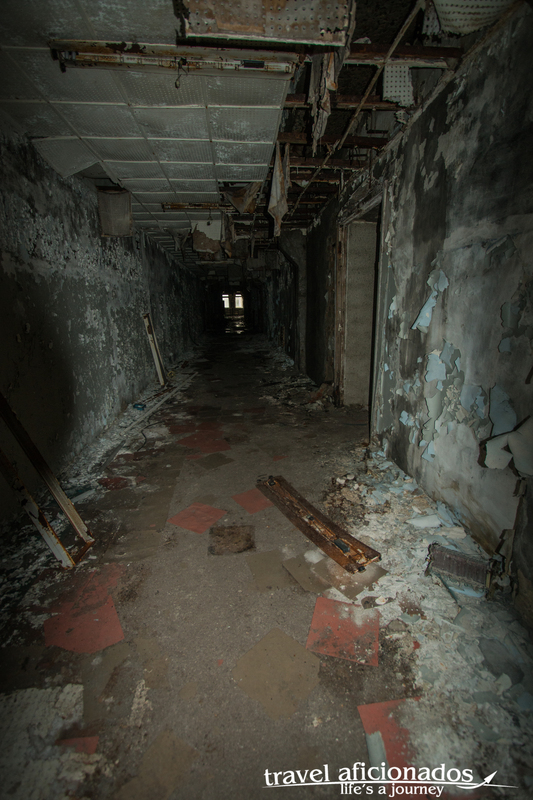 Inside the building, the corridors are so long you can hardly see the end. 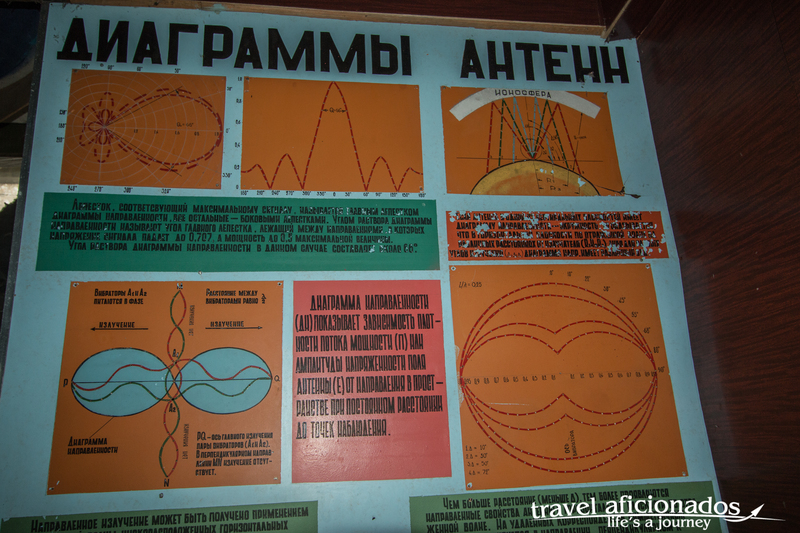 The Duga systems were extremely powerful, over 10 MW in some cases, and broadcast in the shortwave radio bands. 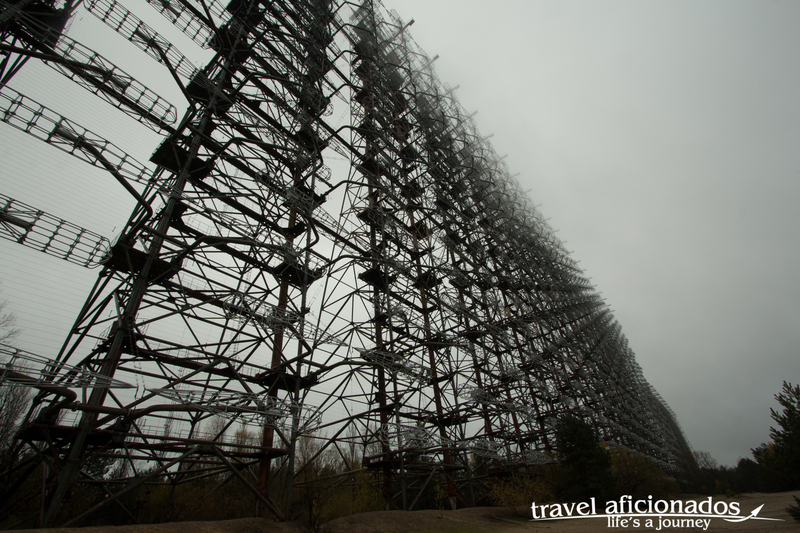 They appeared without warning, sounding like a sharp, repetitive tapping noise at 10 Hz, which led to it being nicknamed by shortwave listeners the Russian Woodpecker. The signal became such a nuisance that some receivers such as amateur radios and televisions actually began including ‘Woodpecker Blankers’ in their circuit designs to filter out the interference.